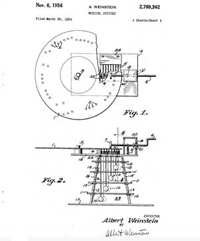 United States Patent #2,769,362, filed March 29, 1954 by Albert Weinstein provides insight into the unique design of the Turn-A-Tune. Released in 1958, Kenner Products’ Turn-A-Tune is a mashup of a vintage phonograph and a modern turntable. 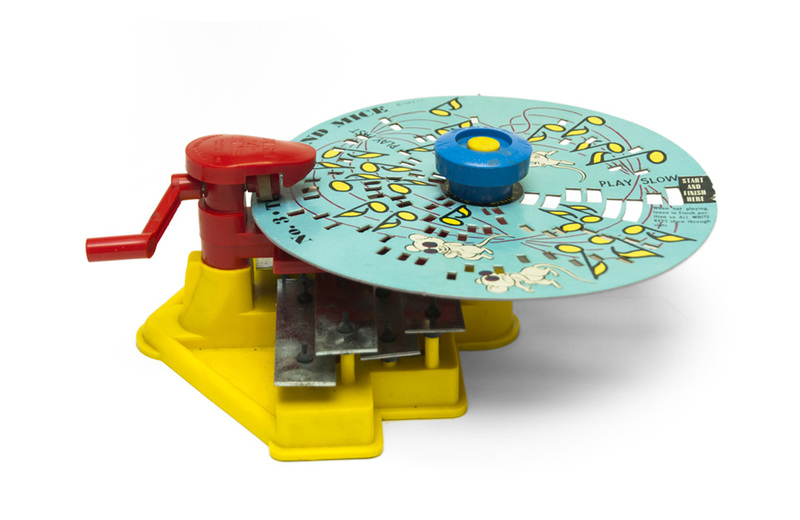 The toy is operated by turning a handle – a “no batteries required” approach to entertainment that is far less common today than it was in the 1950-60s. Each cardboard Player-Disk is 7 ¼” in diameter and functions much like a piano roll in a player piano. As a Player-Disk revolves on the Turn-A-Tune table, perforations cut into it cause keys to be released and strike one of the 8 tuned steel bars below. Turning the handle at a consistent speed results in a recognizable melody being played. The phrase “solid liquid” is a textbook example of an oxymoron. It is also an apt description of Silly Putty, the ubiquitous “blob of goop” that has, for almost 65 years, provided countless hours of entertainment to millions of adults and children.